Summer s the time of vacation and travel. And yet, not everyone of us is lucky enough to do a road trip or fly to a far away place. Or at least not the places we really yearn to visit. 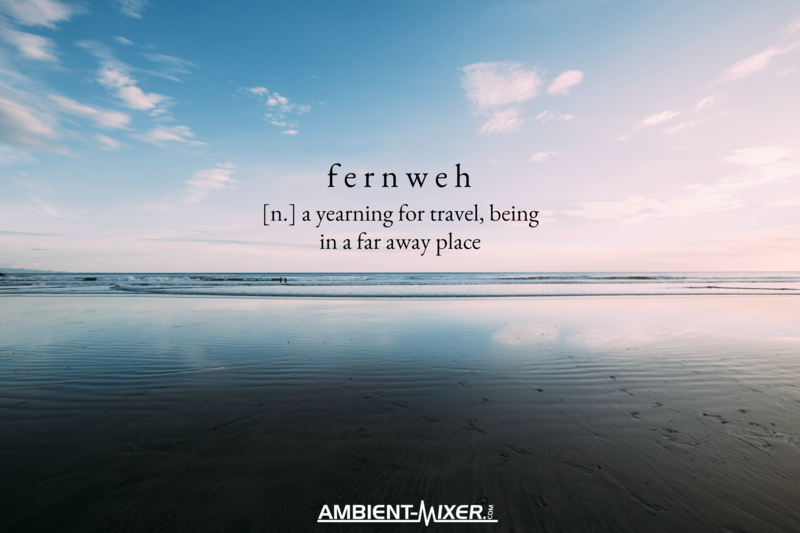 The Germans have a wonderful word that describes the yearning or ache to travel and visit far away places, different countries, and just get away from everything for a while: fernweh. This article is for all of us that “suffer” from Fernweh from time to time, no matter if it’s summer or not! This German noun consists of two words that had been put together to form a compound noun. The first is “fern”, an adjective or adverb, which means far, the second being “Weh”, a noun, which means pain or ache. Thus, the very literal translation of the word would be farache. In contrast, German also has a word that expresses homesickness, Heimweh. Fernweh can occur at the weirdest of times. Sometimes, simply looking at a picture of a beach or jungle is enough. Sometimes, you think back to a past vacation and the Fernweh grabs you unexpectedly. You don’t even have to long for a place you once visited. Many times, you can feel Fernweh for a non-specific place even. If the aching is not as bad and the yearning not as strong, this want to travel can be expressed otherwise as well. Again, German comes up with some great words for that, like Wanderlust or Reiselust (literally: travellust). Ambient-Mixer.com can’t help you to travel, sadly. But if you close your eyes, it can help you to dream yourself to those abstract or very real places you are yearning for. Check out the following examples of ambient noise mixes that can “transport” you far away from your home and daily routine. It may not cure the Fernweh, but at least make it more bearable and help bypass the time until you can go out and follow the tug on your heart. A relaxing and dreamy beach atmosphere. Depending on your liking, you can choose another atmosphere with a beach-feeling with seagulls, music or more violently crushing waves. The soft sounds of a crowd can give you the impression to be at a tourist destination in the Caribbeans. Or, if you prefer, you can look for one with the creaking of an old (sail) boat to add to the atmosphere. 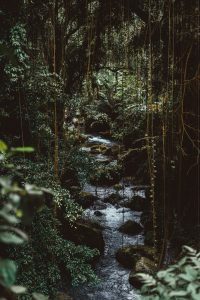 What’s more adventurous and different than our everyday life than a jungle adventure? Monkeys and tigers, birds and other wild animals fill the air with their noises. While some atmospheres have a more eerie tone, all of them portray a feeling of a thriving and illustrious wildlife. Adding heavy rainfall or even a thunderstorm can create a more calming feeling. Are you yearning for a more urban location? New York, Paris, London, …? Then check out the different city atmospheres you can find. From an apartment night in a busy city to sleepy towns and villages at the ocean shore you can find almost everything. Calm rainy days or busy traffic – whatever you prefer, you can find it. There is no need to stay on this planet though. If you are yearning for places even more far away, galaxies and light-years away, check out some of our space ambiences. The vastness of space can either be eerie or very calming. Just imagine traveling around space, passing stars and solar systems in your trusted space ship. Yearning for a whole other place? No problem. Just get some inspiration from the mixes already made and from pictures or situations that caused your Fernweh and create your own atmosphere that helps you to at least lessen the ache.